Watch out, Vern Buchanan—soon, your GOP colleagues and donors could have 13,000 yachts in the water to accompany yours, according to a new CAP Action analysis. Congressional Republicans are seeking to make permanent the temporary tax windfalls built into the 2017 GOP tax scam. These profits have been put to great use, including the purchase of luxury yachts and pricey private planes, all at the measly cost to taxpayers of about $2 trillion. As corporations and wealthy GOP members of Congress reap the benefits of massive tax windfalls, American workers have seen “virtually no benefits” and skyrocketing health care costs. Since last year, corporate profits have soared more than 13%, while wages have stayed flat. 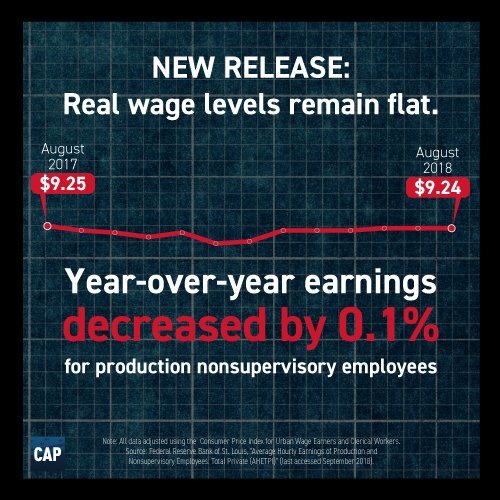 In fact, just as House Republicans push their tax scam double-down, new data from the Bureau of Labor Statistics shows that real average hourly earnings for nonsupervisory and production workers actually decreased 0.1% since last August. 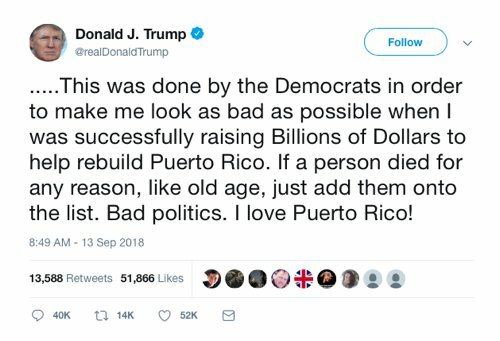 Democrats and some Republicans, like Florida Rep. Ileana Ros-Lehtinen, are lambasting the president’s appalling, callous, and utterly false remarks. But, as is custom for Congressional Republicans in the Trump-era, many GOP politicians are changing the subject, feigning ignorance, or refusing to comment at all. The Trump administration chose to drastically underfund and ignore relief efforts in Puerto Rico. 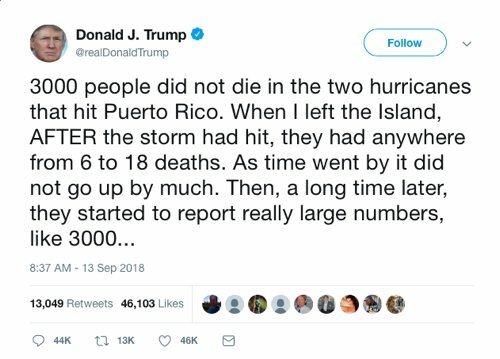 Now, this president is dismissing the 3,000 American lives lost on his watch. New polling data from the Center for American Progress reveals that a majority of voters have struggled with child care and believe that government has a role to play in solving America’s child care crisis. As election season approaches, this new polling makes it clear that child care must be part of any economic policy agenda aimed at helping working people. These results come just ahead of the one-year anniversary of the introduction of the Child Care for Working Families Act, comprehensive child care legislation that was introduced by Sen. Patty Murray and Rep. Bobby Scott last September. The median family in every state would not pay more than $45 for child care each week. An estimated 3 in 4 children would be income-eligible for assistance under the CCWFA. An estimated 75% of child care workers would receive a raise to earn a living wage. Learn more about how this bill would support families and workers in every state here. THINKING CAP: ANY ADULTS IN THE ROOM? As a former White House and State Department official in the Obama administration, Nayyera Haq knows what a functioning government looks like—and this isn’t it. In this episode, Haq talks about the Trump administration’s foreign policy ethos (strategic pessimism), the anonymous New York Times op-ed (no big deal), and being a new parent (smelly). She also shares her thoughts on the so-called Department of Swagger, and why the 25th Amendment sounds so intriguing. Listen here.